Masuko is expected to focus on building partnerships. TOKYO (Reuters) -- Mitsubishi Motors will appoint Managing Director Tetsuro Aikawa to replace Osamu Masuko as president, while Masuko, who has led the automaker for the past nine years, will become chairman after stepping aside, sources said. The new structure will take effect on April 1, the sources said, declining to be identified because the decision is not public. Chairman Takashi Nishioka will resign, they said. Masuko will focus his attention on building partnerships with other automakers. The management changes would come as Mitsubishi seeks to leave behind an arduous decade of slumping sales and a tenuous capital structure that had threatened its standing in the increasingly competitive global auto industry. Mitsubishi Motors this month raised more than $2 billion mainly to buy back preferred shares issued to sister companies in the Mitsubishi group, which funded the automaker's bailout after a failed capital alliance with then-DaimlerChrysler and a debilitating recall cover-up scandal. 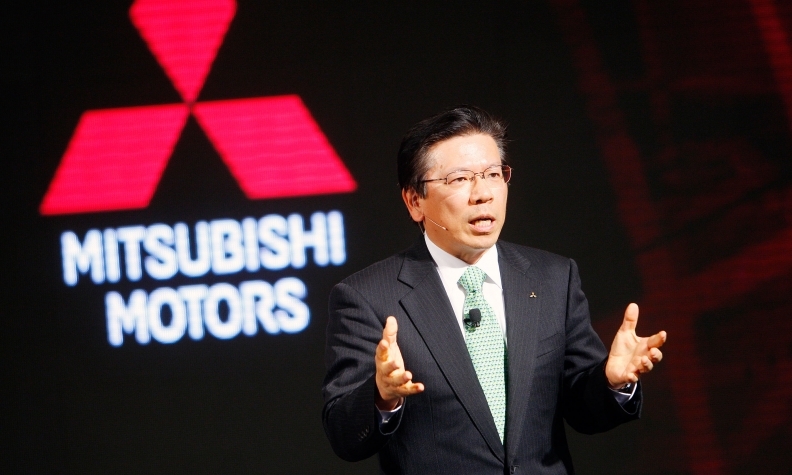 Mitsubishi Motors said in a statement that no decision had been made regarding any changes at the top. The planned management reshuffle was first reported in the Nikkei business daily today. Aikawa will be faced with the task of putting the carmaker on a growth track by relying on operational tie-ups to save costs and make up for its lack of scale. Mitsubishi last year announced a potentially wide-ranging project-based alliance with Nissan and Renault that would allow it to tap the French-Japanese group's resources to develop cars jointly. Masuko, 64, has won wide respect among investors since arriving in 2005 from trading house affiliate Mitsubishi Corp with the seemingly herculean task of reviving the battered carmaker. Aikawa, a 35-year veteran of Mitsubishi Motors, hails from an engineering background with expertise in product development and manufacturing. His father is a former president and chairman of the carmaker's top shareholder, Mitsubishi Heavy Industries, earning him the moniker "Prince" within the Mitsubishi conglomerate. Aikawa, 59, is an engineer noted for leading the development of such minicars as Mitsubishi's eK Wagon and the egg-shaped i runabout. 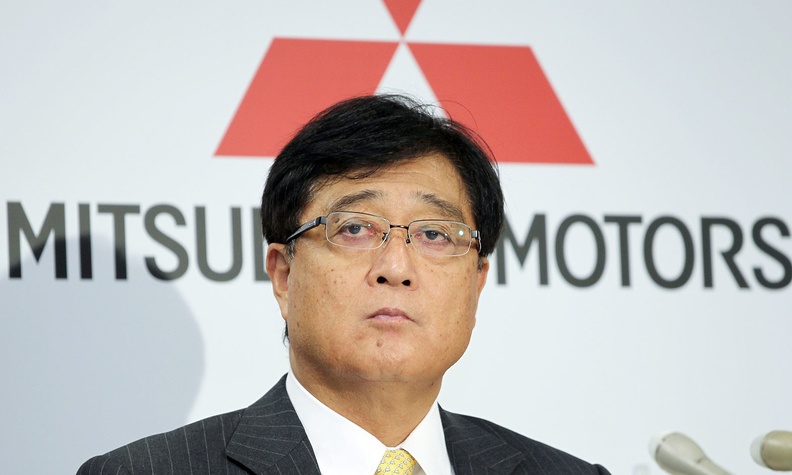 He joined Mitsubishi in 1978 and was promoted to its board of directors in 2005. He has also worked in domestic sales and manufacturing. Since 2011, he has led Mitsubishi's global production division, overseeing the realignment of U.S. and Japanese plants. The product and manufacturing overhaul included phasing out production of such U.S.-only models as the Eclipse, Endeavor and Galant at Mitsubishi's Normal, Illinois, plant, and switching output there to the Outlander Sport small crossover, a key model sold by Mitsubishi worldwide. Under Aikawa, the company has also consolidated its model lineup in Japan and rolled out a new minivehicle joint venture with Nissan at Mitsubishi's Mizushima factory. Aikawa has led Mitsubishi's global production division, overseeing the realignment of U.S. and Japanese plants. In an interview with Automotive News last month, Masuko was circumspect about how long he would stay with the company, which he joined in 2005 to help bail out. "At that time, I went around all the plants at MMC. Before me, there was, on average, nine different presidents over nine years," Masuko said. "The employees said try to stay as long as possible. It was not a good thing for the employees to have nine presidents in nine years. But it was beyond my imagination that I'd end up serving as president for such a long time."